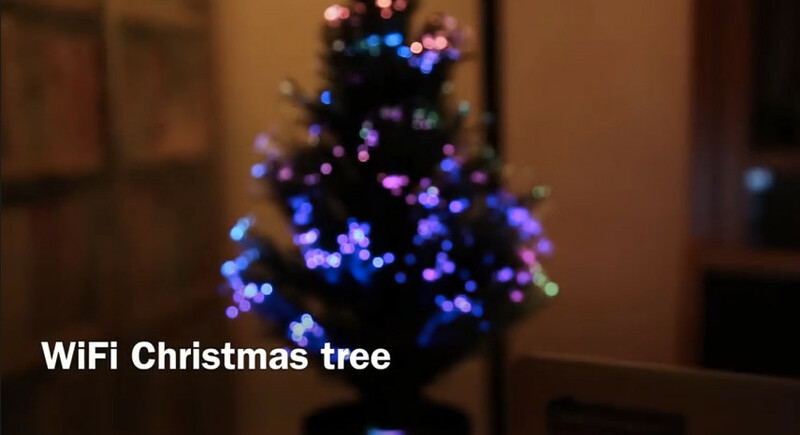 Based on an old IKEA JULEN I created a WiFi enabled Christmas tree! The JULEN tree is at least 10 years old, probably older and has been sitting around in storage without seeing much use. The 10W halogen + 2 W AC motor and ancient AC/AC transformer was a major reason. By using some WS2812B pixels and a Spark Core it can now be controlled from anywhere with an Internet connection and uses at most a fifth of the power! A few days ago I finally got my TinyDuino with various shields, it took a while since I had chosen at least one shield that only recently became available. It’s one of the first projects I backed on Kickstarter actually! Note that I didn’t have any CR16xx coin batteries available, but that a CR2032 fits well enough.